Thought yall would enjoy it. 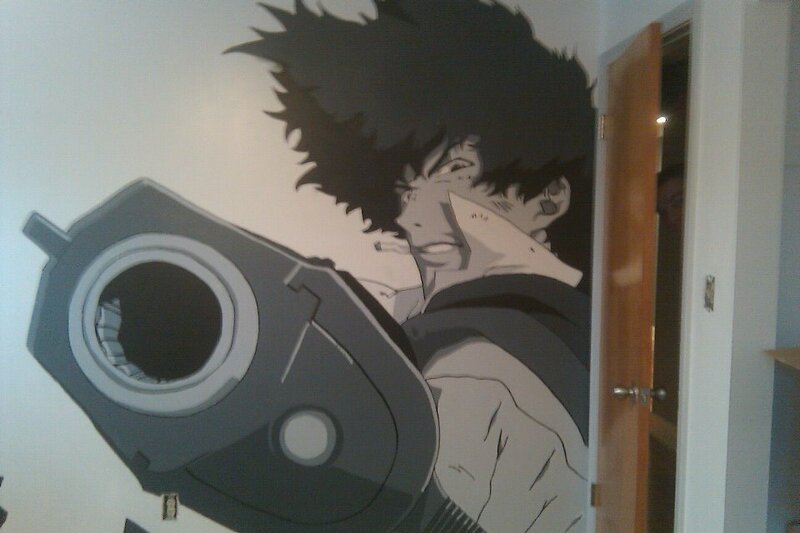 I absolutely LOVE Cowboy Bebop, but, that's a little bit too much for my tastes! It's seems to have a 3-D effect to it also, which is neat. But, still, too much for me. That room=Too much for me! Haha, I dunno, I wouldn't mind painting stuff on my walls like that. Wow, that's pretty darn amazing! Yeah, I think it's pretty epic. As someone who has yet to watch Cowboy Bebop, I find that awesome nonetheless. Yeah, it's very well done. I wouldn't mind having a house decorated with stuff like that one day too.